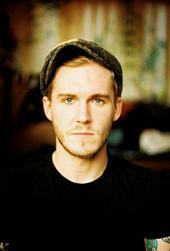 More New Brian Fallon – Garage Dusty Exciting Car Team! The man is a genius. I want to be him. If I can’t be him, then maybe just stand next to him for a bit. Or wear his hat for a while. Or just touch his hat. Or look at a picture of it. Whatever. The point is that he’s the most amazing songwriter I’ve heard for years. So listen. Then listen and listen and listen more. And in time, feel how his music starts to change everything. You’ll understand after a while.